Feel that grey hair strands have begun to appear too early? Ah, the troubles of premature greying! Makes you feel old! It’s time to flip open a bottle of anti-grey hair oil and eliminate the problem from its roots (see what I did there?). Not with just any anti-grey oil, mind you. You deserve only the best. And, you must know that if it were not for the anti-grey oils that we mentioned below, tackling premature greying would have been quite a task! Thank God for the oils. Now, it’s time to say goodbye to the salt and pepper look. So, here is the legen.. wait for it… dary list of the best anti-grey oils available in India. Take a look. 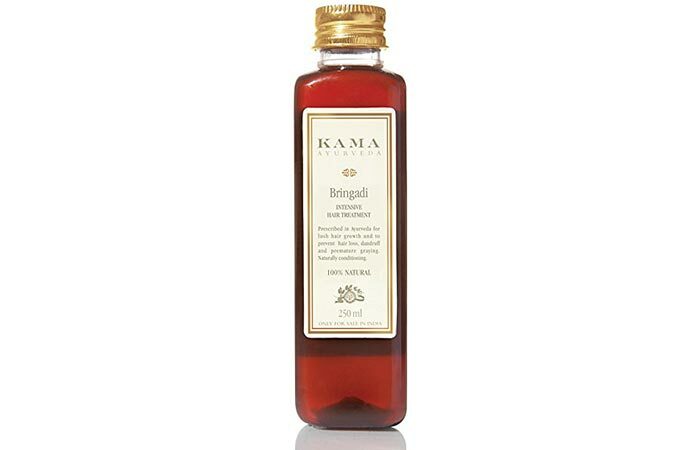 Kama Ayurveda Bringadi Intensive Hair Treatment Oil not only prevents premature greying but also conditions the hair for a healthy shine. The anti-grey hair oil contains gooseberry extract and licorice that promote hair growth and prevent scalp infections. 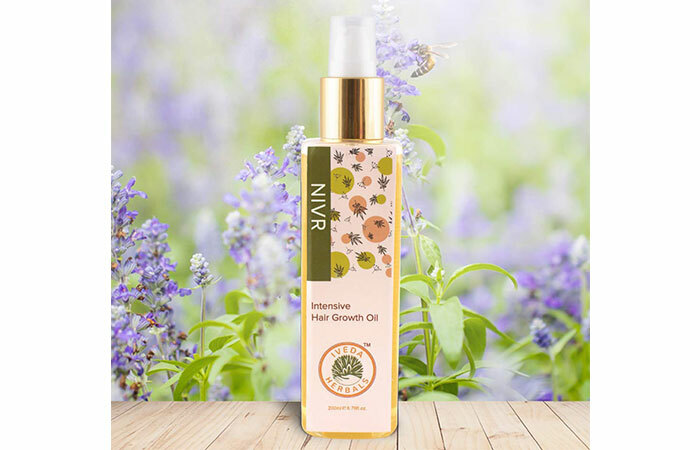 Nivr Intensive Hair Growth Oil contains 6 natural herbs that work wonders on your scalp: Neeli, Amla, Bhringraj, Aloe Vera, Mint Oil, and Jojoba Oil. The vitamin C in amla can help halt premature graying. Nivr reduces hair breakage and hair damage that are caused by digital exposure, pollution, urban lifestyles, lack of a proper diet, and UV rays. It works on scalp dryness, allergies, and infections that cause hair damage. 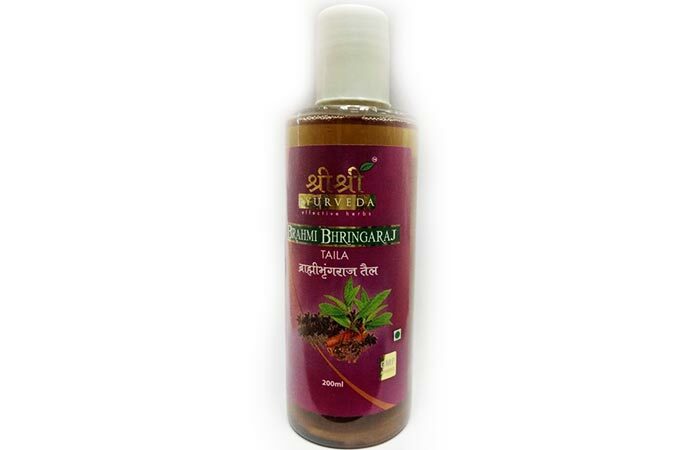 Just Herbs Bhringraj Hair Oil delays the process of hair greying and nourishes the hair follicles. It makes the hair roots strong and healthy. The anti-grey oil contains natural ingredients that reduce hair fall and improve the overall texture of the hair. 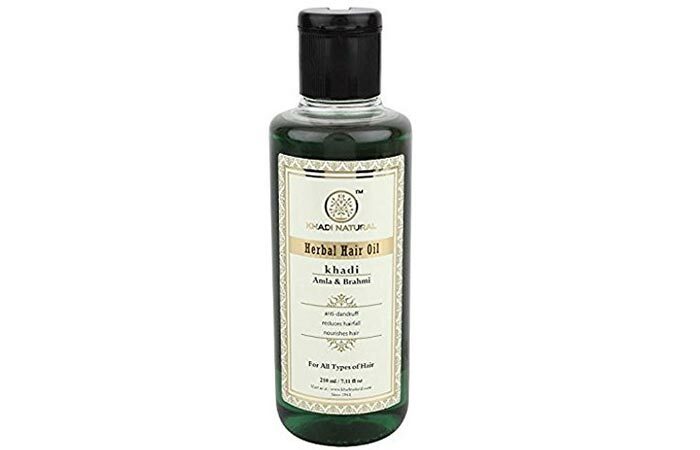 Khadi Amla And Brahmi Hair Oil penetrates deep into the hair follicles and prevents premature greying. It helps maintain the natural shine of the hair. The anti-grey oil contains amla that retains the natural black colour of the hair. Also, it repairs damaged hair and makes it strong. 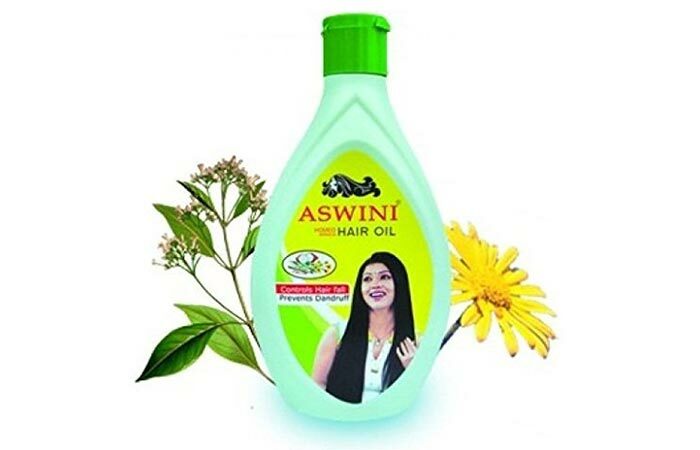 Aswini Arnica Hair Oil maintains the natural colour of the hair. It facilitates the increase of blood flow to the hair follicles. The anti-grey oil contains herbal ingredients that prevent scalp itchiness. Also, it makes the hair smooth and silky. 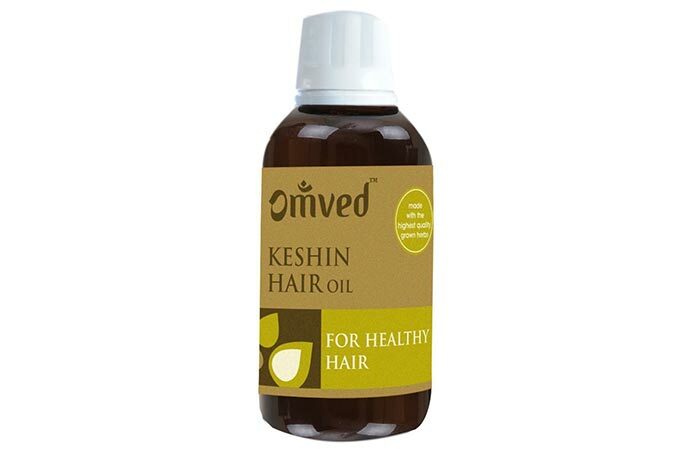 Omved Keshin Hair Oil delays premature greying. It facilitates the growth of long, dark, and dense hair. The anti-grey hair oil contains various botanicals that provide an effective solution for hair problems such as dandruff, hair loss, and itchy scalp. 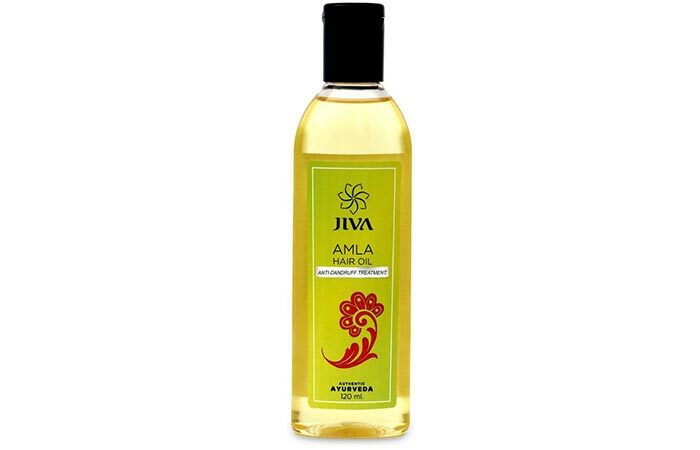 Jiva Ayurveda Amla Hair Oil darkens the hair and rejuvenates it. It controls greying and maintains the natural colour of the hair. The anti-grey hair oil contains almond, amla, and jasmine extracts that nourish the hair and strengthen the hair follicles. Sri Sri Ayurveda Anti-Graying Hair Oil conditions the hair and helps to keep its natural colour intact. The anti-grey oil is medicinal and contains herbs. It makes the scalp itch free and healthy. The oil also adds shine to the hair. 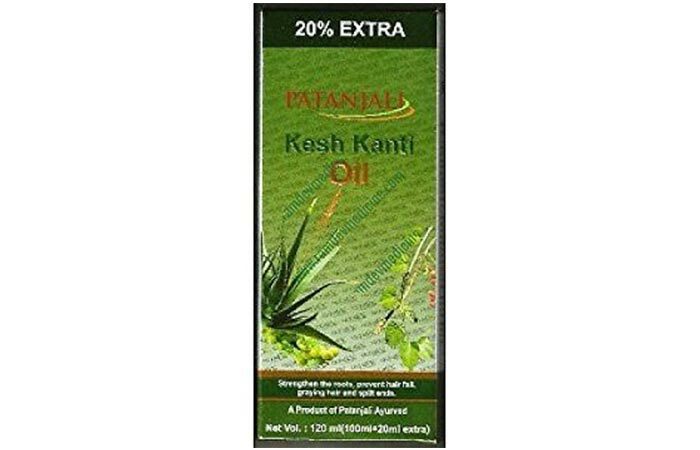 Patanjali Kesh Kanti Oil prevents greying. It nourishes the hair and strengthens the hair roots. The anti-grey hair oil contains wheat germ oil, bhringraj, and aloe vera extract, which reduce the toxins in the hair. 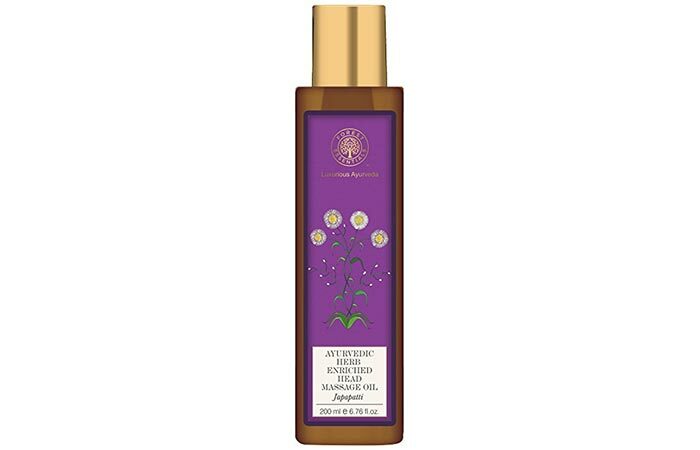 This oil makes the hair texture smooth and prevents knots and tangles. 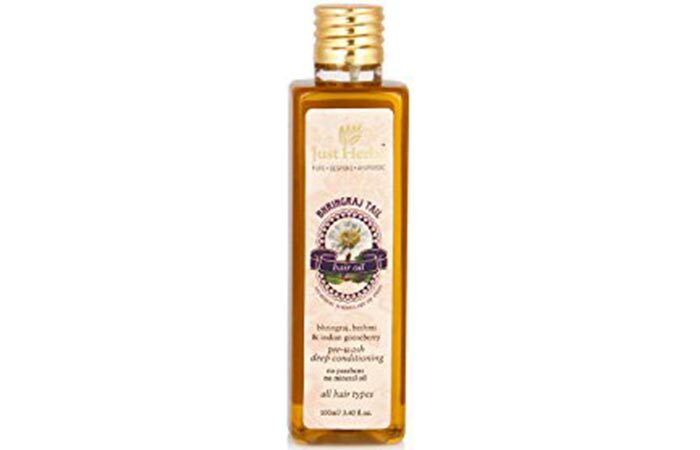 Forest Essentials Japapatti Hair Oil improves the colour and quality of the hair. It restores its shine and makes the hair healthy. The anti-grey oil contains coconut milk, coconut oil, and japapatti leaf infusion that thicken and moisturize the hair. 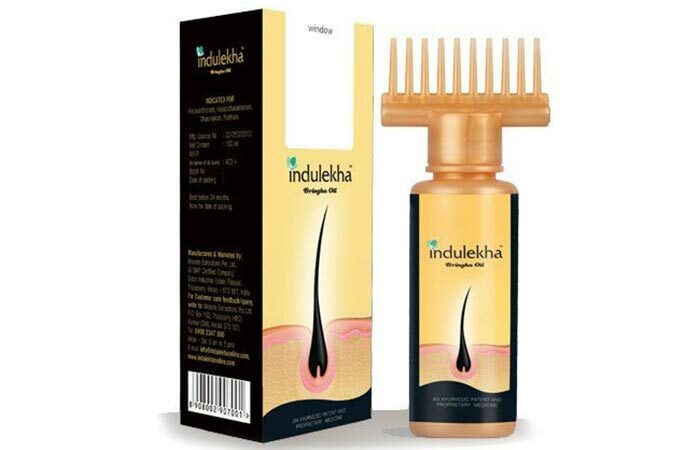 Indulekha Bringha Hair Oil improves the hair’s colour and health. The oil is an Ayurvedic medicine that eliminates dandruff and prevents hair loss. 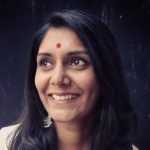 The anti-grey oil contains aloe vera, neem, and amla extracts that are antibacterial, prevent scalp itching, and maintain the colour of the virgin hair. Before you start looking too old for your age, get an anti-grey oil to prevent and fix premature greying. Nip the hair greying problem at the bud than suffer from it later. The right ingredients and nourishment are all you need for dark and beautiful hair. So, get your hands on one of the anti-grey oils mentioned above and let us know in the comments section below about how it worked for you. How often should I use an anti-grey oil? Massage your hair with anti-grey oils 2-3 times a week because you need to follow it up with a hair wash.
Do anti-grey oils work on grey hair? Anti-grey oils prevent the other hair strands from turning grey, which otherwise occurs in quick succession once a few strands turn grey.